On Saturday April 27th, the UConn Skydiving Club will be holding two of our annual demonstration jumps. The team will be landing at 12 PM on the UConn campus at the historic Great Lawn across from Rt 195 and behind the Austin building. At 6 PM, during the Food Truck Festival, Doug Hendrix will be landing in the SU Mall. Come watch members of the club jump out of a plane 2 miles above campus! Be a part of the excitement of Spring Weekend and watch a historic event. 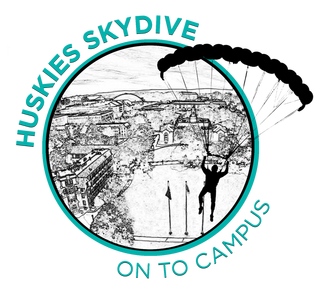 Grab yourself free UConn Skydiving merchandise! All are welcome! Learn what it means to be a UConn Skydiver.